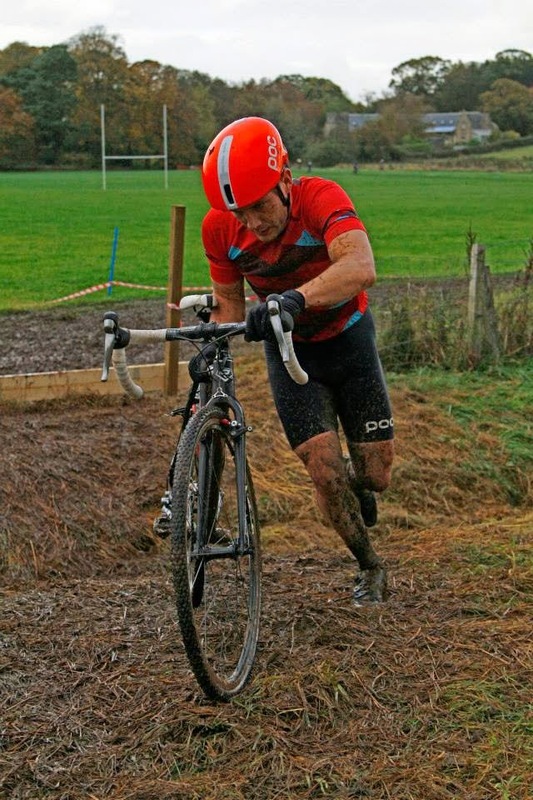 Scottish Cyclocross Association: Nae Doonside to McCallum's Victory. Nae Doonside to McCallum's Victory. 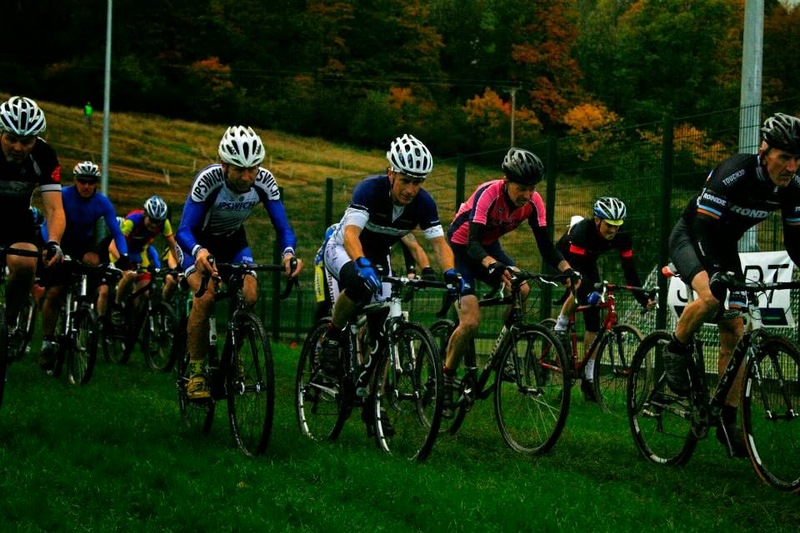 The Doonbank Trofee- Ayr Roads Cycling Club-October 19th 2014. With the first two rounds of the Ridley Scottish Cyclocross Series already in the can, Cyclocross racers in Scotland braved the eye of a storm to head down to the first ever running of the Belgian themed Doonbank Trofee held in the grounds and the playing fields of Wellington School in Alloway Ayrshire. Chris Johnson and the team at Ayr Roads Cycling Club, had worked very hard to bring a non series race to the area, with vibrant social media and a great pre event document giving all the entered competitors a flavour for a new venue and a new promotion. Although the last couple of series events boasted huge entries, there was some disappointment in the pick up from the event, but there was still a good smattering of big names using the event as a pre race warm up for next weekends Irvine Beach extravaganza. We have been blessed by the last few dry races, but the challenging parcour with searing elevation and adverse camber was not going to be the only thing riders had to contend with. 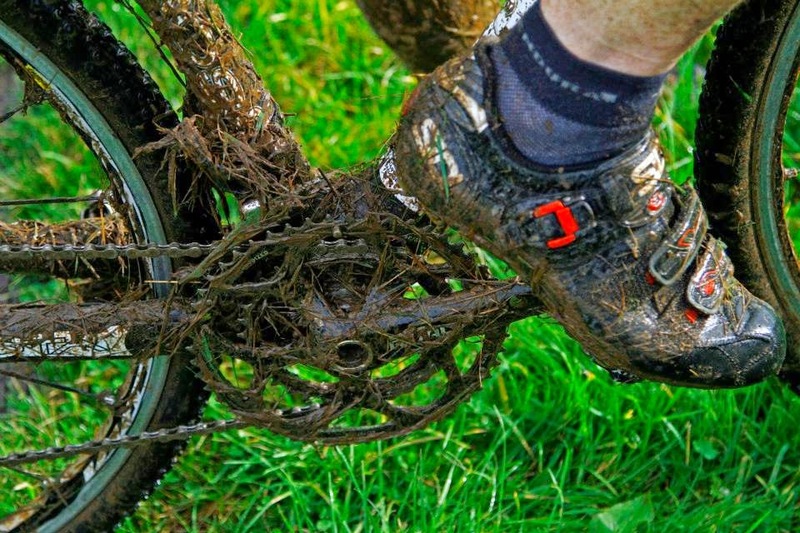 Schlamm, modder, slurry or just plain old mud were going to the main factors in drain the legs and lungs, as well as tempestuous flailing cross and headwinds. There was some talk of combining categories, but the organisers stuck to the programme and put on an event that promises some great potential, not only as a non series event, but with some tweaking and development a possible series event to move the sport forward in the Ayrshire area. The main Senior saved the worst of the weather for all the bold and the brave to contend with a heavy course and a full sixty minutes of of racing being the main of the day. James McCallum made his return to the cross scene up here with an eye to find some legs for the upcoming Irvine race, and now sporting a fetching POC-Rapha garb certainly brightened up the proceedings with the first charge to the bomb hole and tarmac section. In close company and a very welcome returnee to the scene, Neil Walker (Walkers Cycling), laid out his intentions early and stuck with the seasoned pro as the field quickly spread out on the first lap. James was able to stretch a small gap from Walker and an impressive Barry Wilson, before the mistress of cross started throwing proverbial spanners into the works. 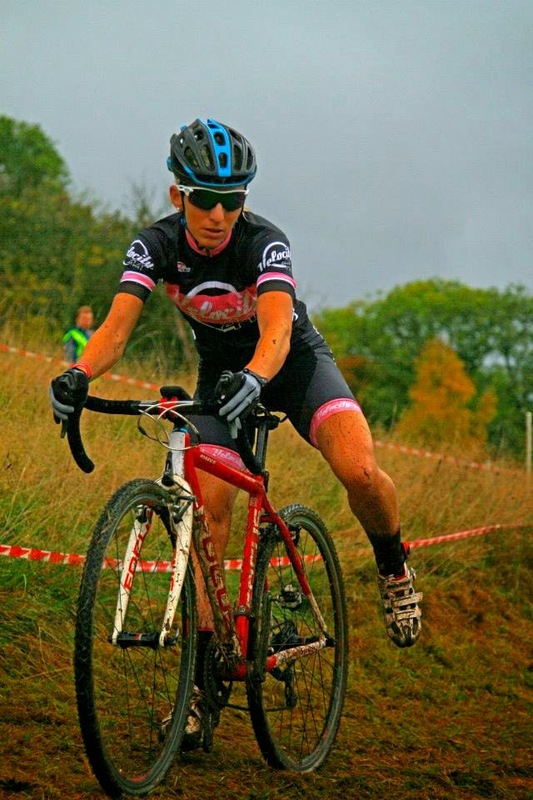 The claggy course was necessitating bike changes for a lot of the lead riders, and Walker was forced to pit after rolling a tub, McCallum was having his own woes too, with having to ride a borrowed bike while his main bike was unclogged. The spirit of cross was very evident during all this mechanical meltdown with fellow riders and mechanics all pitching in to keep the racers in the race for the duration. Towards the end of the race the skies turned as black as the Earl of Hell's waistcoat, and this played very well into the hands of Brian McCardle (EKRC), who was in skull crushing form. Brian has been shaking things up this year at the sharp end of the Senior class, and although McCallum held it all together at the sodden end, Brian was cutting a fine line in chasing down the colourful victor on the day with Wilson in very close attendance. In the Veteran Forty class, the main protagonists all made the trip Doonside, and although the course was now beginning to cut and rut up, the main players were still at the helm of the race. Stevie Jackon (Glasgow United) started off as ever full guns blazing to start stretching Gary McCrae( Leslie Bikes/Bikers Boutique) as well as a poorly gridded James Melville (Glasgow United). Jackson was further aided in his cause when McCrae had a mechanical at the “Beechers Brook” run and jump section, and was able to pull a further gap on the now motoring McCrae. Melville too was bringing a race to his teamster, but as is often the case in Forty class, McCrae was able to crack first Jackson and then Melville wide open on the last climb to the mini Koppenberg adverse section of the course and drive home an advantage the the chequered flag. These guys along with the likes of Porco and Nally are sure to put on a feisty race in the dunes of Irvine next week if the effort at the Trofee is anything to go by. The Veteran Fifty class saw another strong race ride from Brenden Roe ( LeslieBikes/Bikers Boutique), who was very at home on the more traditional and arduous terrain of the venue, despite early attention of Alistair Dow (Ronde) and an on form Graeme Short (Team Thomsons), he was well clear from Ian Robson (Ipswich BC) and soon snapping at the heels of the top Junior riders in the shape of Pearce Somerfield (Team Thomsons) and Hardie Bikes Conner Nally. Junior Nally came out on top of that particular tussle on the day..
Mixed in on the day were the Senior and Veteran Women, and the Doonbank event saw a controlled performance from Jane Barr (Velocity 44) who took command early on to score her first ever cross win, Barr who will contest all the remaining Scottish races, is another classy road racer to take up the challenge of Cyclocross, and is a welcome addition to the popular female class. A good strong ride from Katie Carmicheal (Hervelo) and Jo Baxter from the organising Ayr club completed the women's podium on the day. The full results from Mark Young and his team are available here. Good report but a pity there's no mention of the youth category. Always looking for volunteers to provide more content for the blog, so if you'd like to report on the Youths then please get in touch using the Contact Us form.